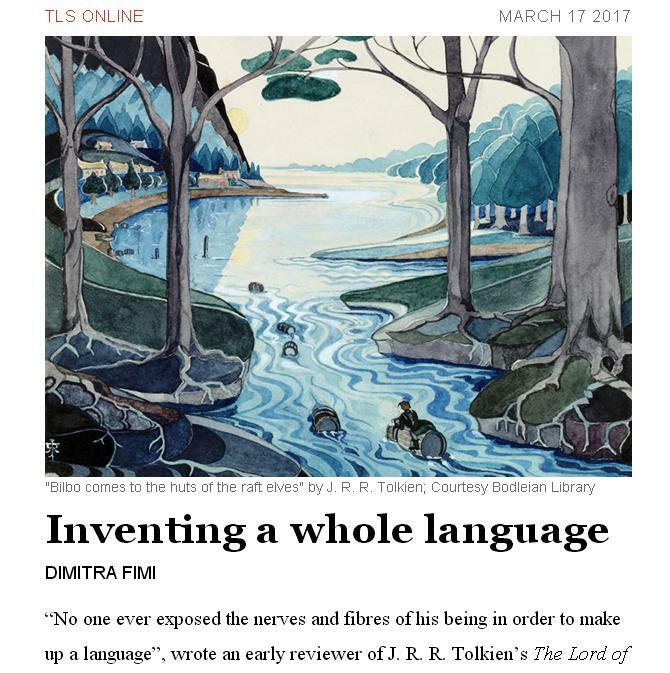 I have had a new article published today on the Times Literary Supplement (TLS) Online, titled: “Inventing a Whole Language”. In this article I discuss imaginary languages, from early modern traveller’s tales and Victorian fantasy, to Tolkien, of course, as well as George Orwell and Anthony Burgess. This piece builds on the research I did with Andrew Higgins for our edition of A Secret Vice: Tolkien on Invented Languages (HarperCollins, 2016) and argues for language invention as an enduring form of art.